Shakespeare once wrote, “What’s in a name?” Well, our name indicates what we are and what we do: Holland Bowl Mill. However, we do much, much more than bowls. Nearly a century ago, Holland Bowl Mill was started initially as the Wooden Shoe Factory, and in 1984 the Holland Bowl Mill became a separate company. So with our rich history, it should come as no surprise that bowls are not the only product we craft. We offer many choices when it comes to wooden utensils, including our unique Caesar salad utensil set. Check out or different options of cutting boards and centerpieces, and also take a look at our chopping bowls that include a mezzaluna knife set. We can do specialty items, like our salad bowl stand, which can help you save space on the dinner table. 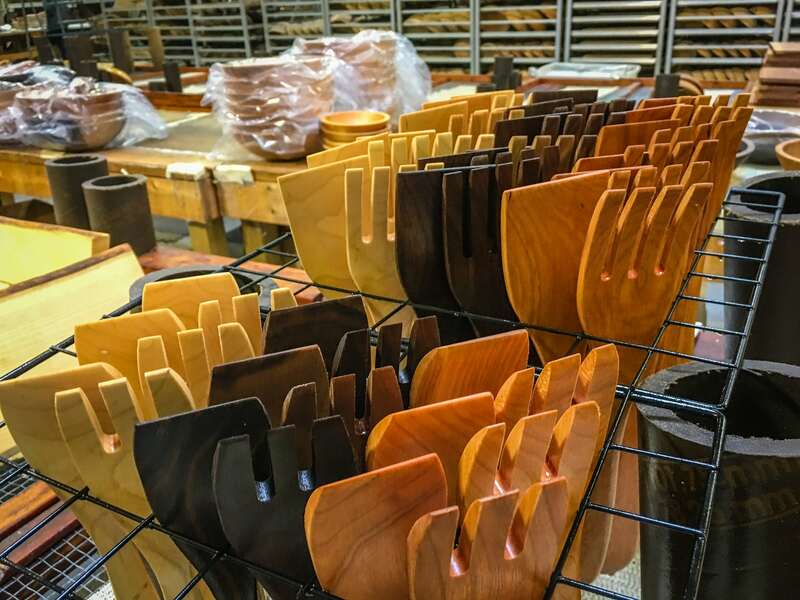 Of course, you can still find bowls of many shapes, sizes, and wood styles that we sell in all 50 states and around the world. And don’t skip past our Bee’s Oil Wood Preserver, which you can apply to every product you purchase. Don’t forget that Holland Bowl Mill offers free engraving on the bottom of your bowls and that we can customize nearly any product that we craft.